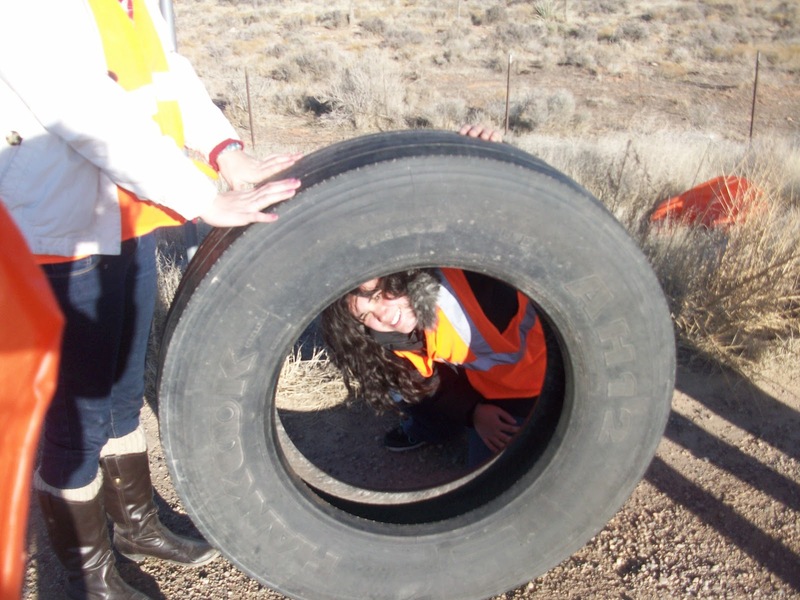 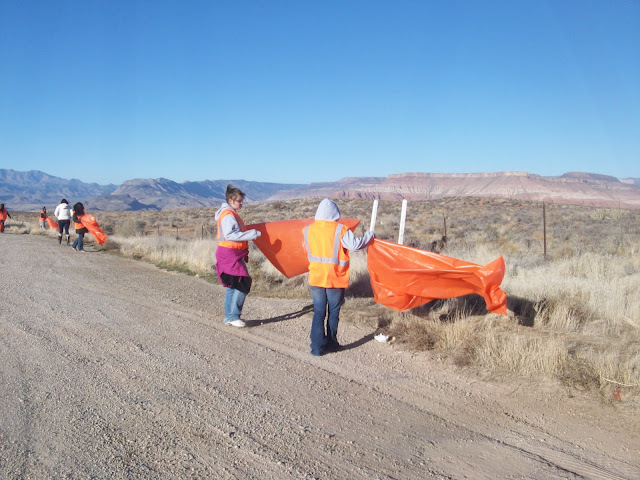 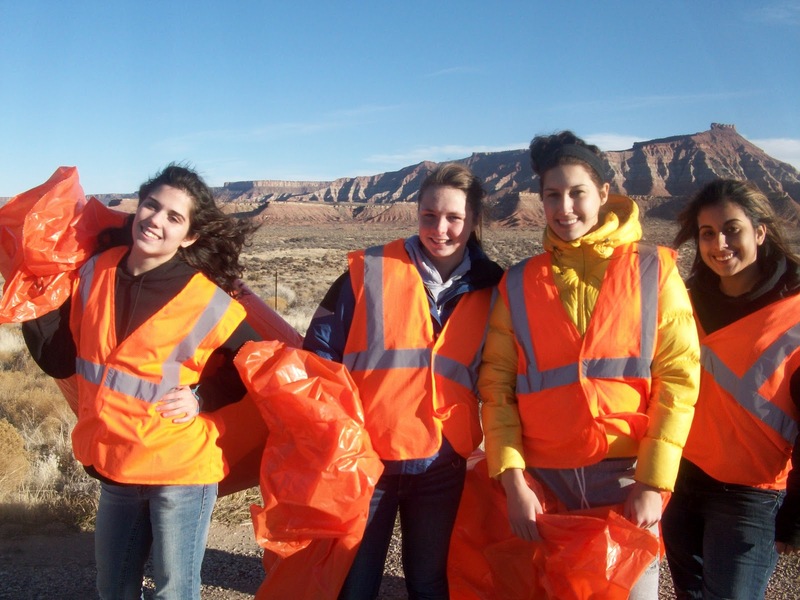 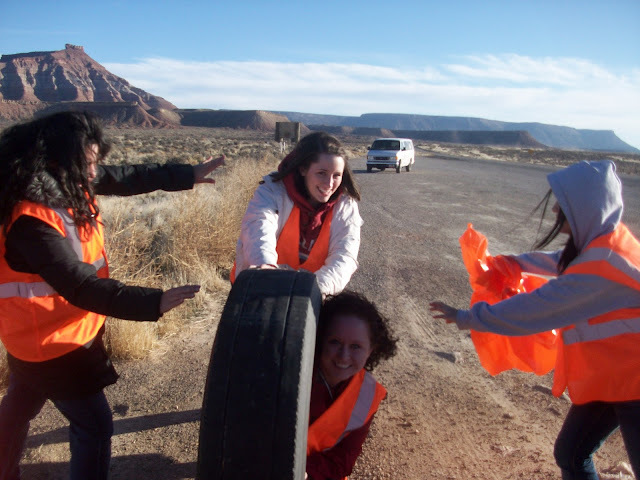 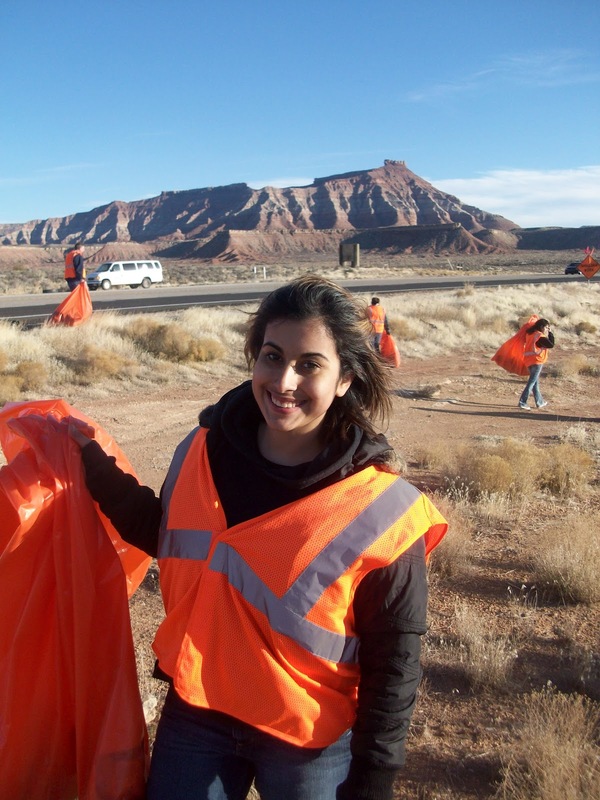 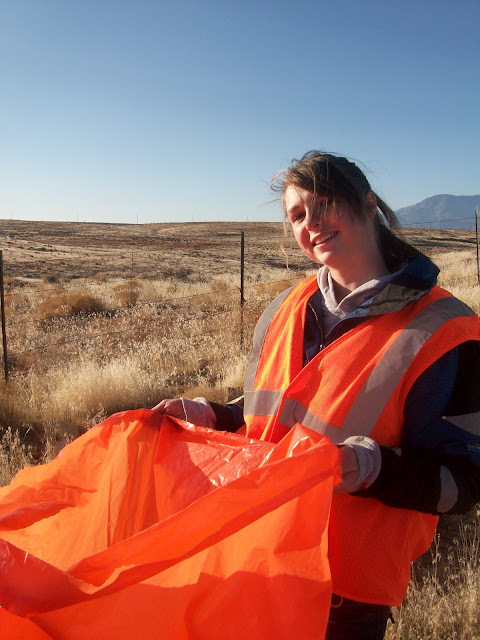 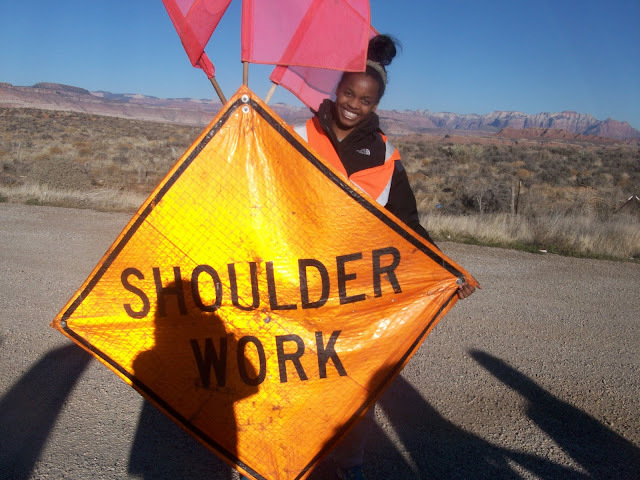 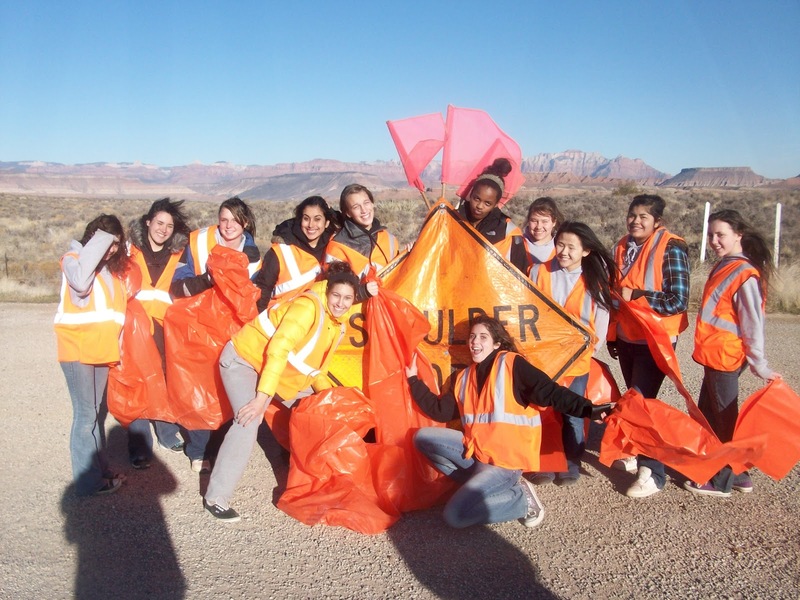 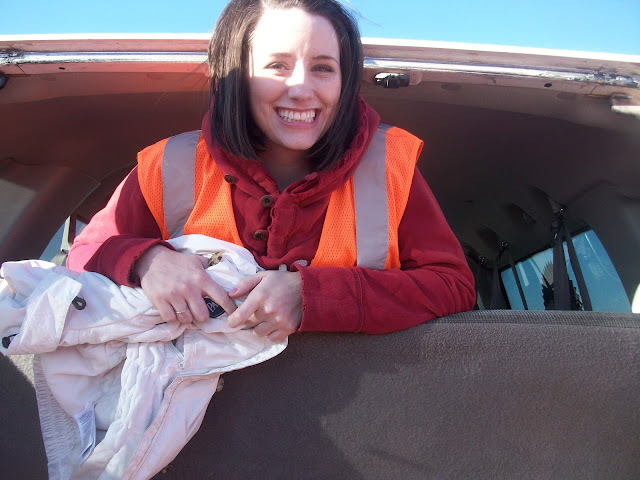 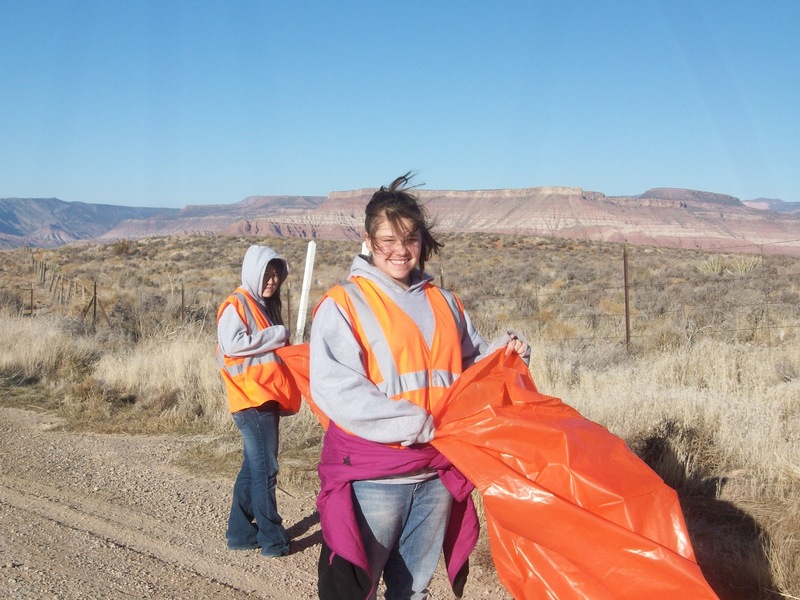 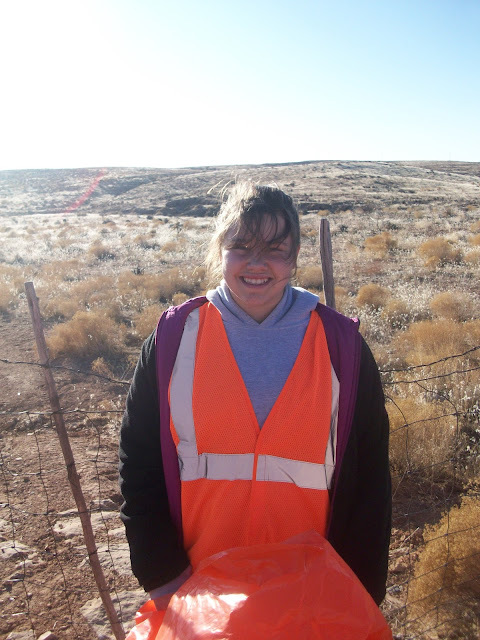 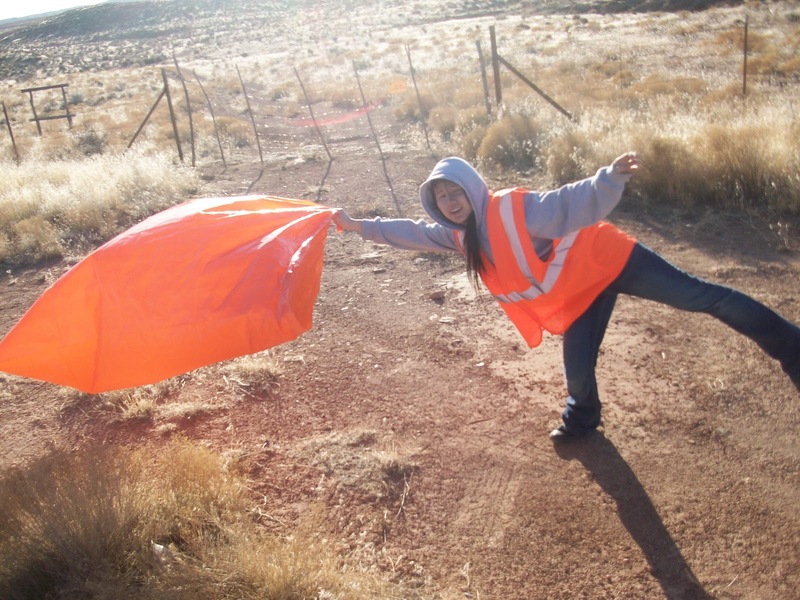 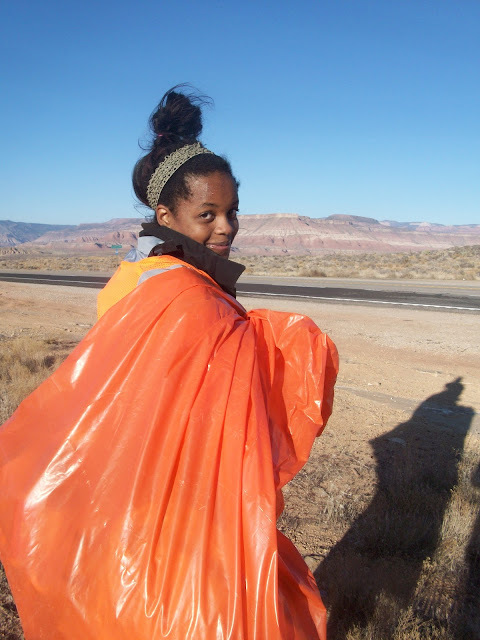 On Thursday, January 12, 4H went off campus to help clean up the highway near Diamond Ranch. 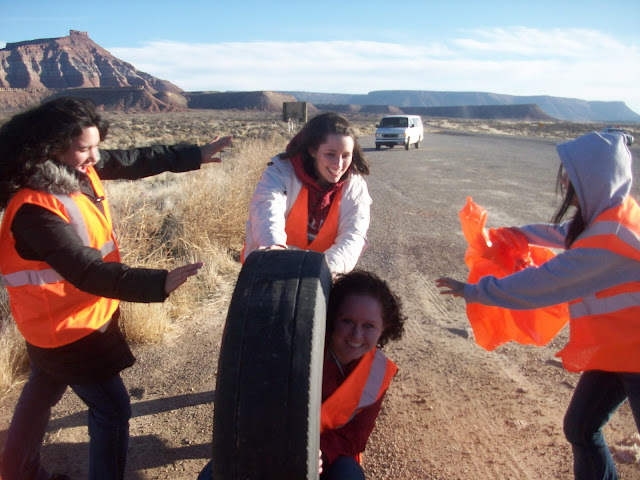 The girls had a lot of fun. 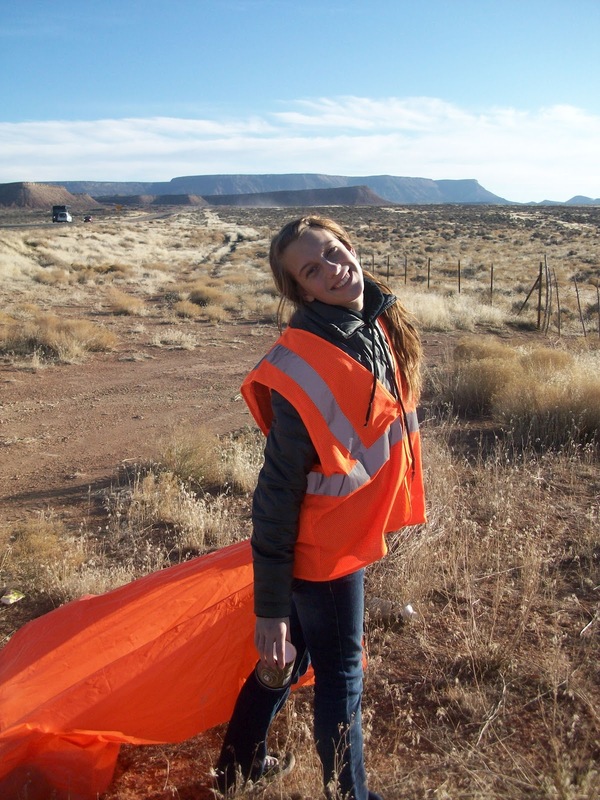 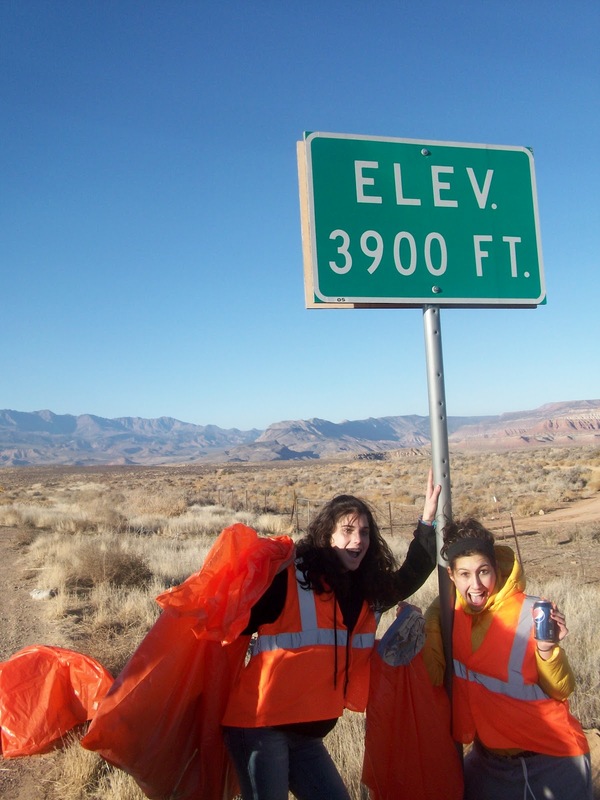 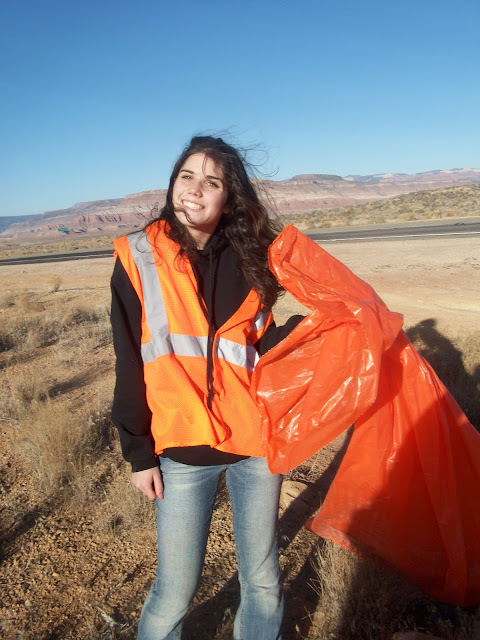 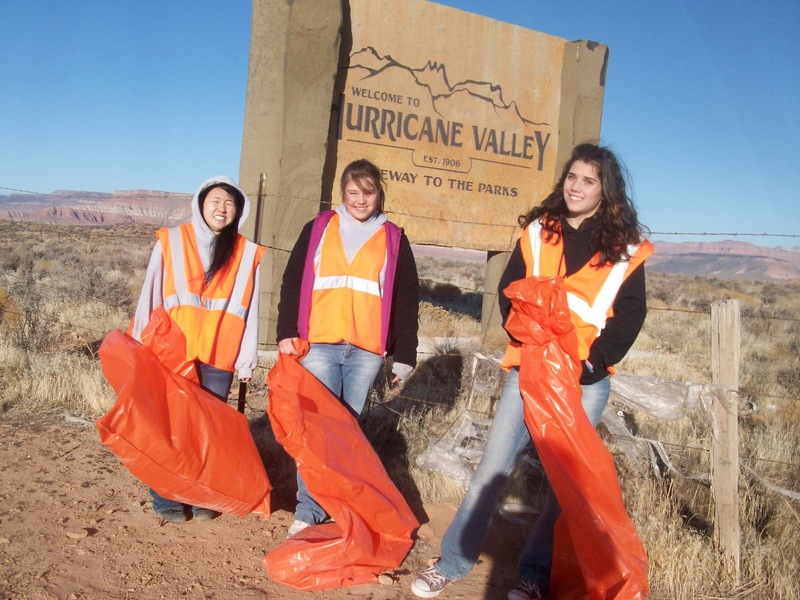 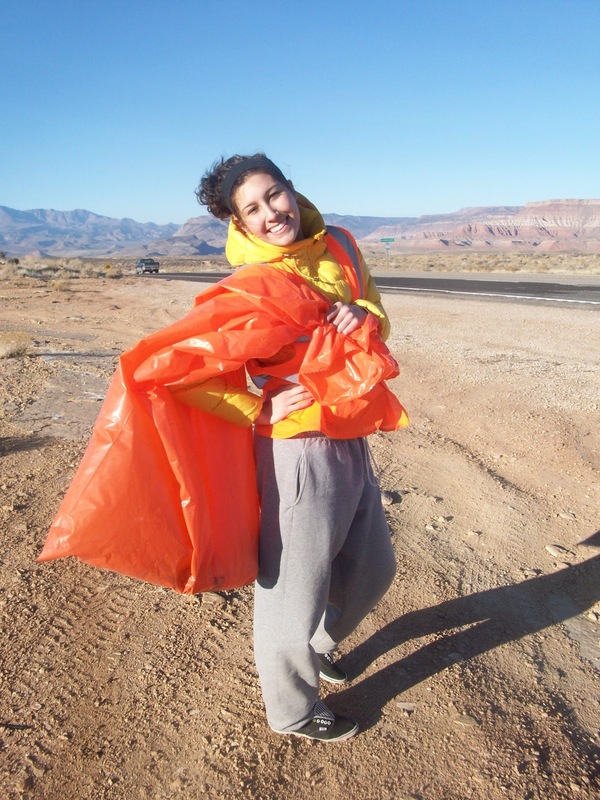 Each girl got a large, orange garbage bag and an orange vest. 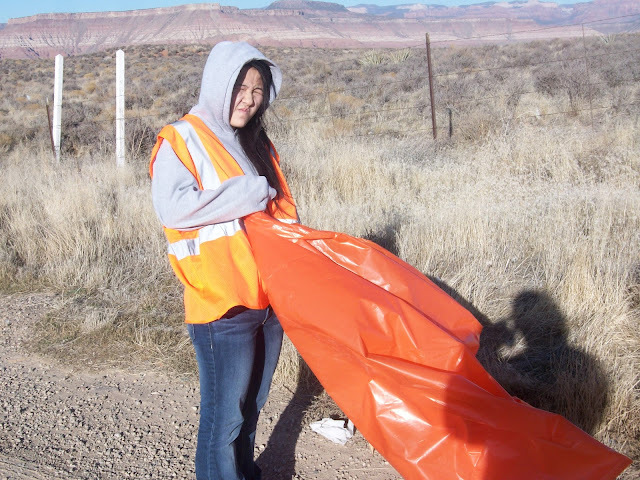 They were told to try to fill up the bags, and made a game out of who could pick up the most garbage. That definitely helped motivate the girls. When they were finished, the highway looked noticeably better. 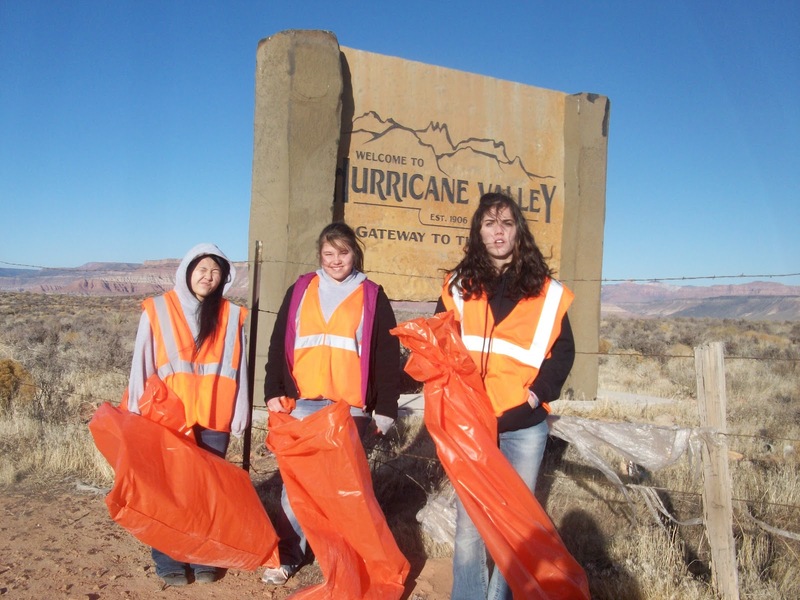 The girls came back to the ranch feeling accomplished knowing they did something great for the environment.